Sapphire is the stone of royalty, wisdom, and celestial hope. 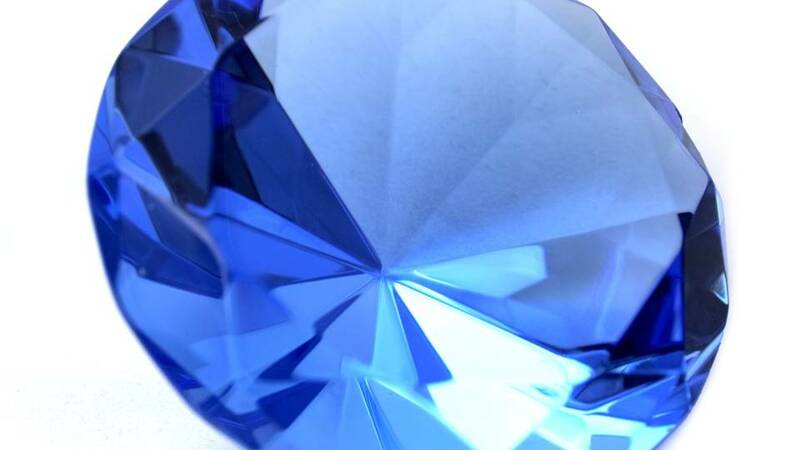 Like the expanse of the heavenly, blue sky, sapphire represents heavenly vision and the faith in all that is sacred. It is a stone that lends itself well to the seeking of spiritual truth. The Buddhists believe sapphire can assist in facilitating spiritual insight and enlightenment. The robes of royalty were often adorned in sapphire as a symbol of status. Clergymen would were sapphire-colored robes to signify their ties to the divine and spiritual matters. 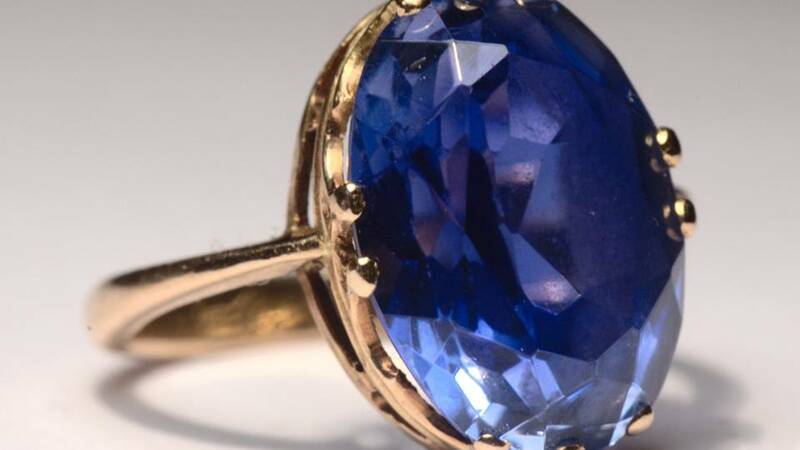 Sapphire has been used throughout history for its powers over prophecy and its connection to the Divine. 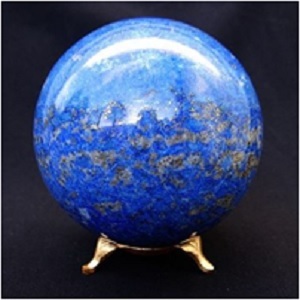 It is used to bring deep spiritual insight, and is also believed to draw in good fortune. They can be used for protection, especially protection against dark magic and ill-intent. Sapphire can help focus the mind and will to make the manifestation of dreams and goals a reality. It is a stone of learning, and can help the mind concentrate while improving mental acuity. In terms of crystal healing, sapphire is used to treat fevers and burns, as well as ailments affecting the eyes and sight. 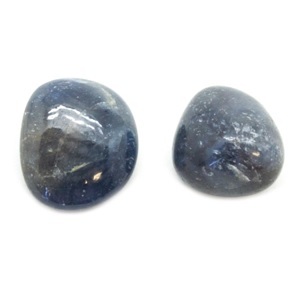 Consider carrying some tumbled sapphire stone with you before taking a difficult test, or have some around while you are studying to help improve your concentration. When meditating, place sapphire stone on your palm to help resonate with the energies of intuition and spiritual insight it provides. 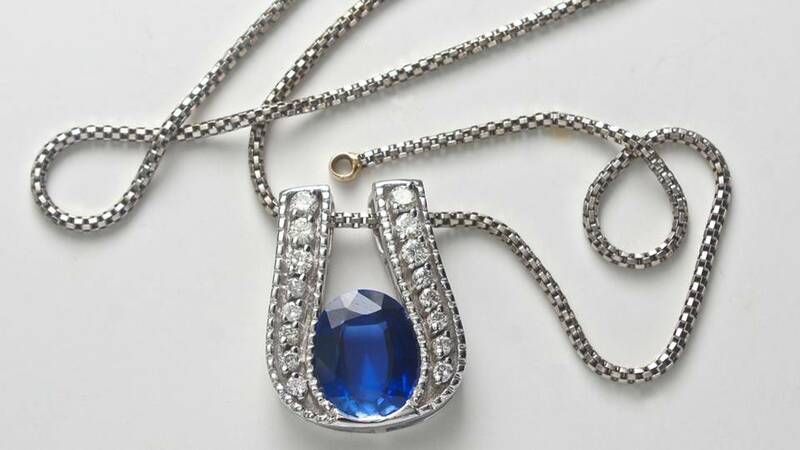 You can wear a sapphire stone pendant around the neck to help heal the Throat and Third Eye Chakras. Sapphires are the birthstone of September, so consider giving a friend or loved one the gift of sapphire stone if their birthday falls in this month. Sapphire is also used to celebrate a 65th anniversary, known as the Sapphire Jubilee, so consider giving the gift of sapphire when celebrating this anniversary. 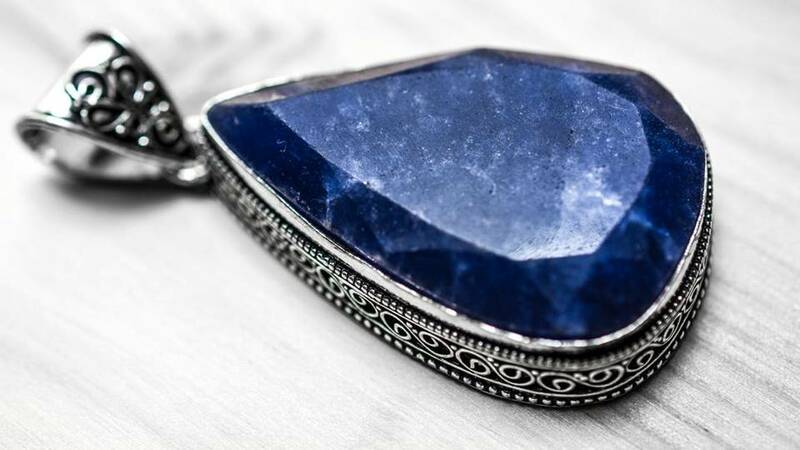 Sapphire is connected to wisdom and intuition. It is a good stone for seekers of spiritual truth and can help with meditation and uncovering intuitive and psychic abilities. 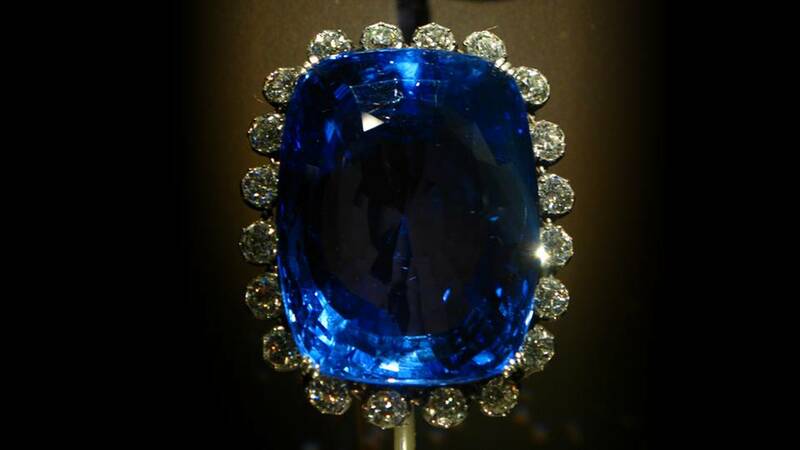 Sapphire is used for protection. It can ward against dark magic, ill-intent and negative energies, and can be used for protection during ritual or psychic workings. Sapphire can help with learning. It is powerful when it comes to learning and mental acuity. It can help raise concentration and focus, and assist with mental clarity. Sapphire is used for healing. Sapphire is used to stimulate the Throat and Third Eye Chakras. The Throat Chakra governs the ability to communicate, while the Third Eye Chakra is associated with our intuition. Sapphire is actually the mineral corundum. Corundum can be found in almost any color of the rainbow, such as pink, black, blue, green and clear. 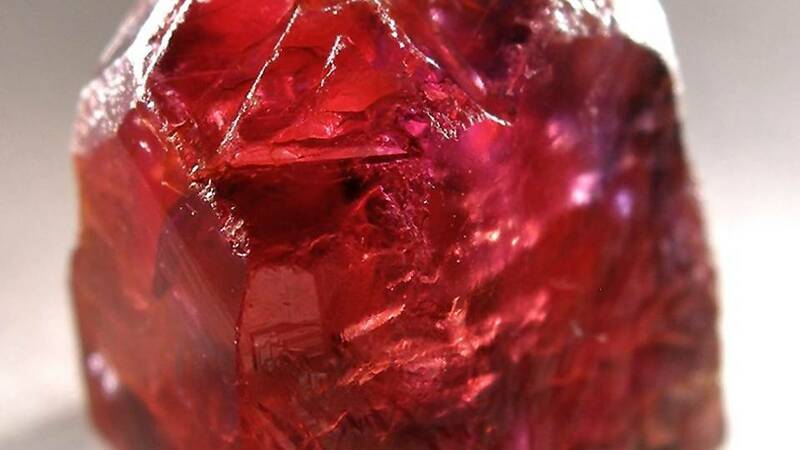 A red sapphire is simply called a Ruby. Sapphire stone has remarkable hardness. They register at 9 on the Mohs hardness scale. Due to their incredible hardness, they are often used in infrared optical equipment and high-durability windows, among other uses. Sapphire is the birthstone of September. It is also used to celebrate the 65th anniversary, sometimes called the "Sapphire Jubilee." 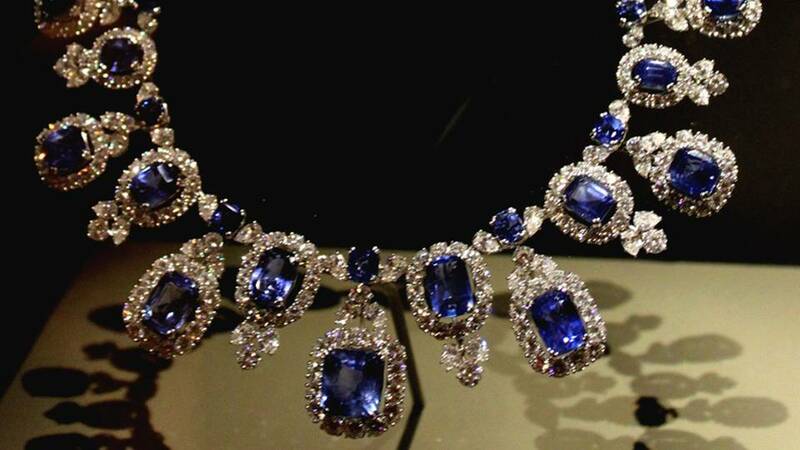 The name Sapphire comes from the Sanskrit word shanipriya. 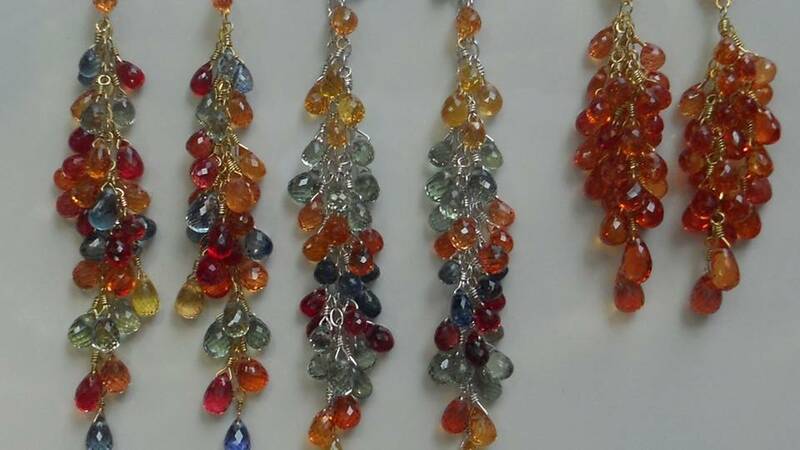 Shanipriya literally means "dear to Saturn," and Sapphires are astrologically associated with Saturn. Sapphires symbolized Heaven during the Middle Ages. 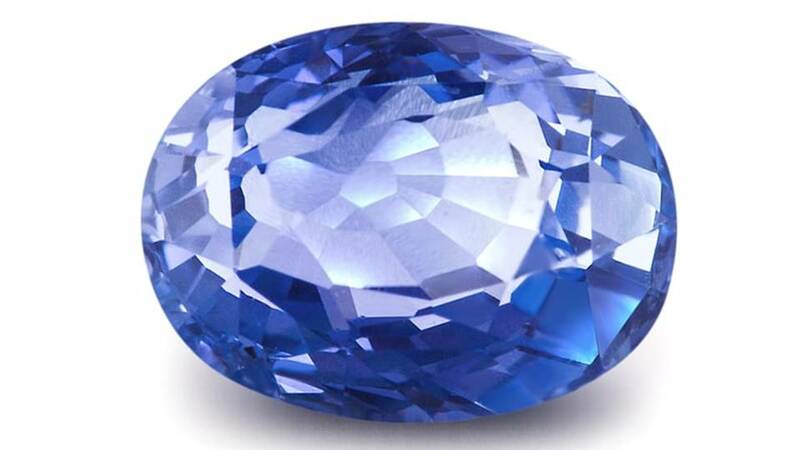 Clergy would wear sapphire to express their connection to the Divine, and commonfolk believed wearing the stone would attract heavenly blessings. Sapphire embraces order, structure and self-discipline. It is believed that a sapphire stone will lose its luster if near an undisciplined, impious person. What is the use of Sapphire? 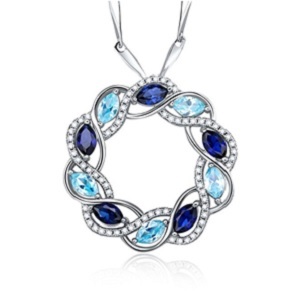 Sapphire stone is used to create beautiful jewelry, such as pendants, necklaces and earrings. Whether it is set in jewelry alone or coupled with other complimentary gems such as diamond and topaz, sapphire makes a celestial addition to any jewelry piece. 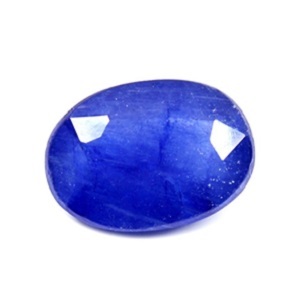 Sapphire stone is also used in crystal healing. It is used to align the Throat and Third Eye Chakras, heal ailments that affect the eyes and throat, and soothe fevers and burns. Sapphire is believed to help improve mental acuity and focus. 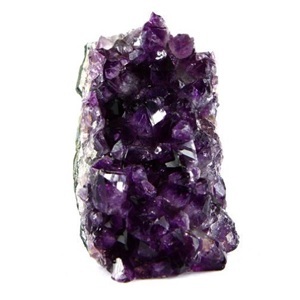 It can deepen wisdom and spiritual insight as well, and is also used for protection. Where can Sapphire be found in the world? 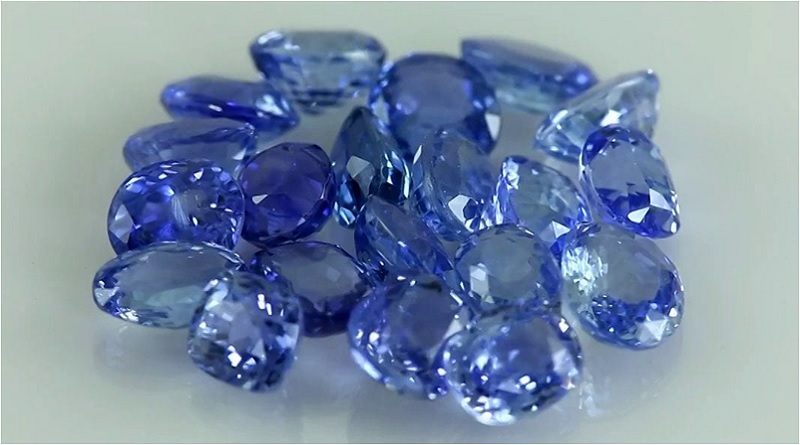 Sapphire can only be sourced from a few select countries. 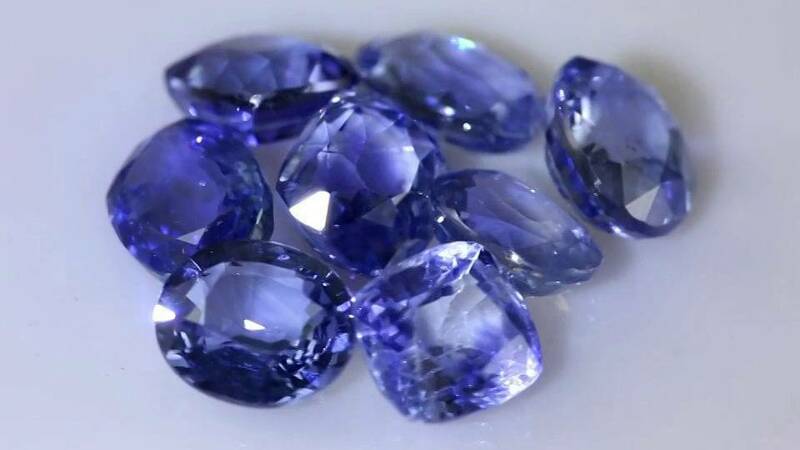 Most notably, blue sapphire stones are found in Kashmir, Sri Lanka and Burma. 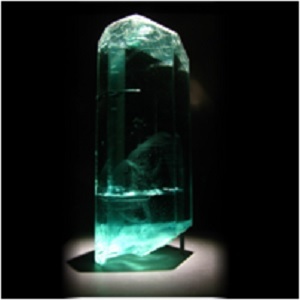 It is mined from parts of Thailand, Vietnam, India and Cambodia. What is the meaning of Sapphire? Sapphire is associated with wisdom and intuition. Royalty and vagrants alike were very attracted to this stone, as it was believed to be connected to the Divine and the Heavens. 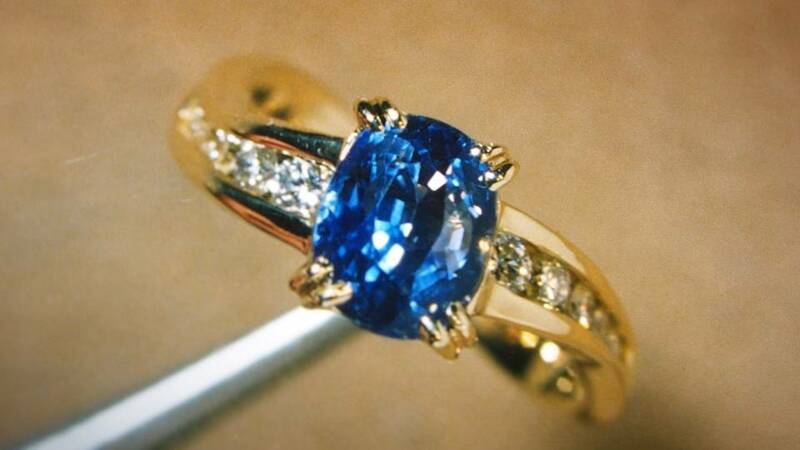 Sapphire is often used for non-traditional engagement rings. It expresses the sentiments of loyalty, faithfulness, and sincerity. 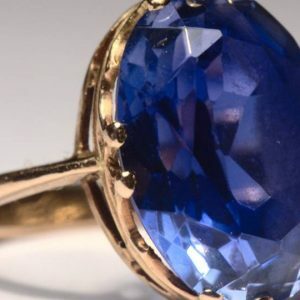 Prince Charles famously gave Princess Diana a sapphire engagement ring, which in later years became the symbol of love between Prince William and Princess Catherine when they became engaged. 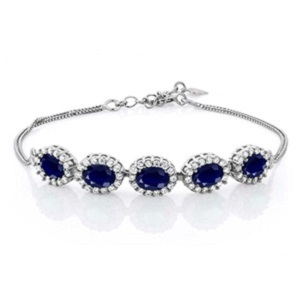 Sapphire comes from the Sanskrit word shanipriya, which means "dear to Saturn." Saturn is also known as the Titan God Cronus was the father of Jupiter, and the god for which Saturday and Sunday are named. What is Sapphire made out of? 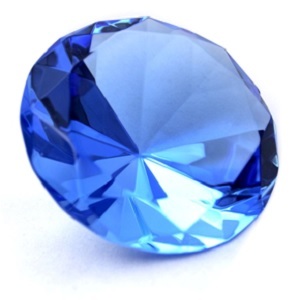 Sapphire is made of aluminium oxide and the mineral corundum. What are Your Thoughts on Sapphire Stone? What brings you to our article on Sapphire today? Did you learn anything new? What do you plan to use Sapphire for in the future? What other stones and you interested in learning about? We'd love to hear from you! The contents of this website are for informational purposes only and do not render medical or psychological advice, opinion, diagnosis, or treatment. The information provided through this website should not be used for diagnosing or treating a health problem or disease. It is not a substitute for professional care. If you have or suspect you may have a medical or psychological problem, you should consult your appropriate health care provider. Never disregard professional medical advice or delay in seeking it because of something you have read on this website. Links on this website are provided only as an informational resource, and it should not be implied that we recommend, endorse or approve of any of the content at the linked sites, nor are we responsible for their availability, accuracy or content. "Sapphire". Crystal Meanings. N.p., 2017. Web. 4 Apr. 2017. "Sapphire". wikipedia.org. N.p., 2017. Web. 4 Apr. 2017. "Sapphire History And Lore". edu. N.p., 2017. Web. 4 Apr. 2017. 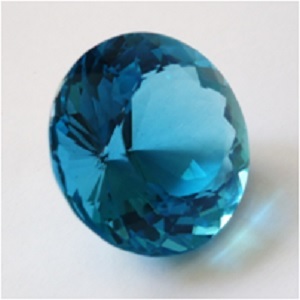 "Sapphire: The Gemstone Sapphire Information And Pictures". Minerals.net. N.p., 2017. Web. 15 Apr. 2017. 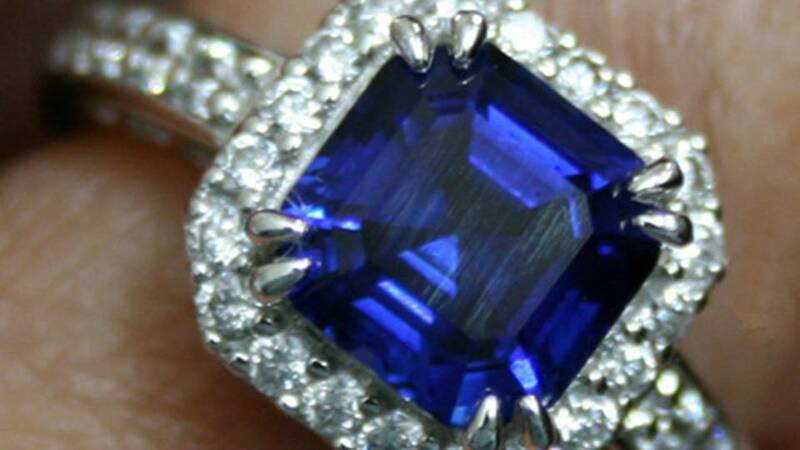 "Sapphire Gemstone & Jewelry Information, Blue & Fancy Sapphire: Gemselect.". Gemselect.com. N.p., 2017. Web. 15 Apr. 2017. Andrea, Pink. "Non-Traditional Engagement Rings: What The Sapphire Symbolizes - The Pink Bride". The Pink Bride. N.p., 2017. Web. 15 Apr. 2017.